City Rugs vs. 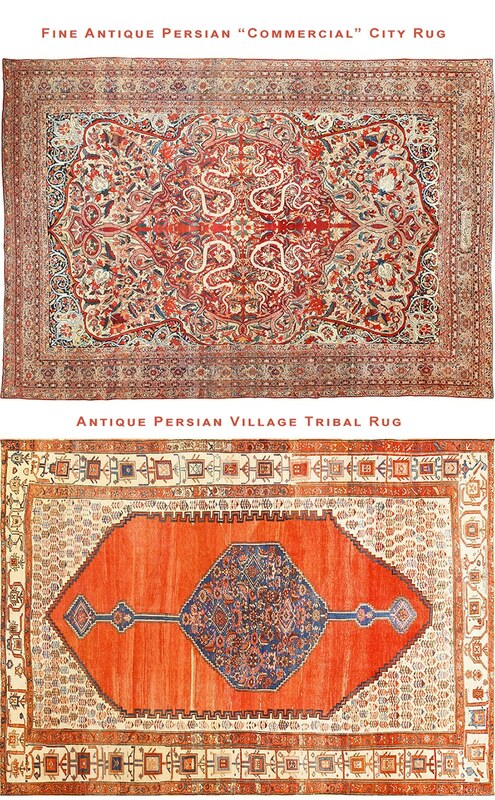 Village Rugs – From the earliest times, the motives or purposes, behind rug production, have been complex. As domestic home furnishings, woven area rugs and carpets must have originated for practical reasons. First for the purposes of comfort and then as decorative objects. 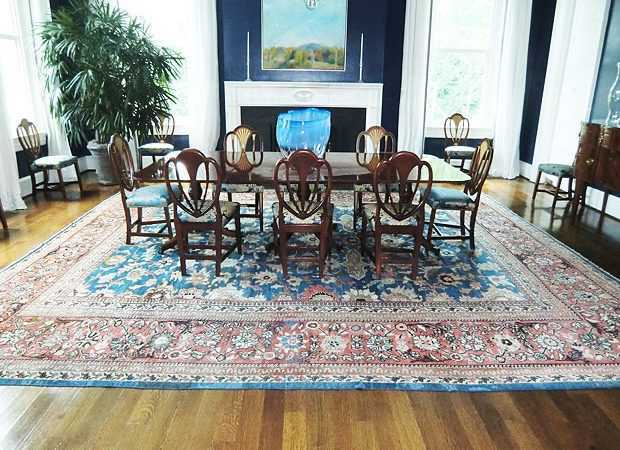 Rugs and carpets served to embellish the home in decorative, functional and aesthetic terms. Over time, the rug weaving techniques and their carpet designs, gradually became more sophisticated. As this trend continued, carpets gradually became objects of luxury and class, indicating the affluence and social standing of their owners. Once this had occurred, i.e. 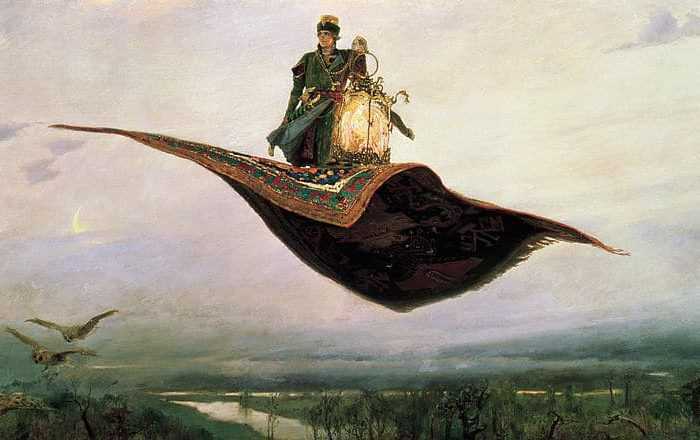 , once the rugs themselves began to function as valuable commodities and social status symbols, their production itself became a means of generating wealth for their manufacturers. Especially in Persian urban city centers of rug production. The workshops of Persian urban city rugs that could produce the finest quality rugs could also command the highest prices. The city rug producers in Persia, who designed the very finest rugs, acquired reputations of ‘master weavers’. 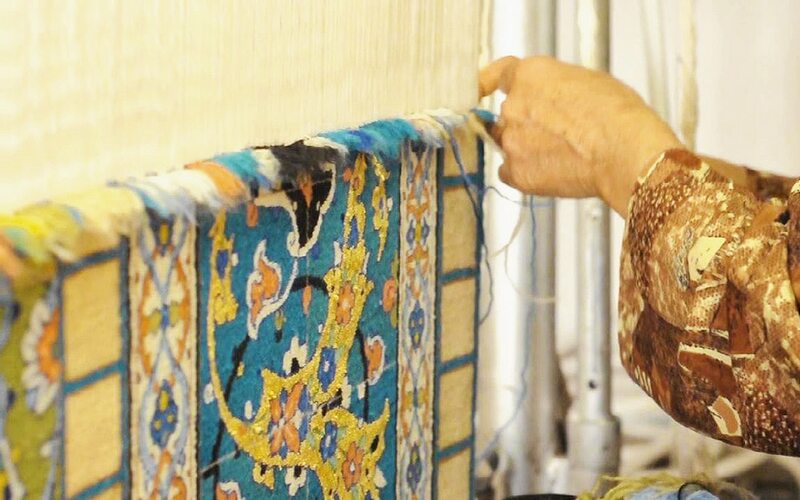 Some of these master rug weavers even began to signed their work. There has sometimes been a tendency, especially among collectors, to contrast commercial city rug weaving with village and nomadic rug weaving. In this view, the commercial city rug weaving is seen to cater to commercial marketplace demands. In contrast, the work of village or nomadic rug weavers is assumed to have a more genuine cultural and / or aesthetic ‘authenticity’. This is mostly because the village rugs are thought to have been made for the weavers’ own personal use; rather than for sale. This is, however, somewhat of a false opposition, as commercial rug production, was, by no means, limited to cities. 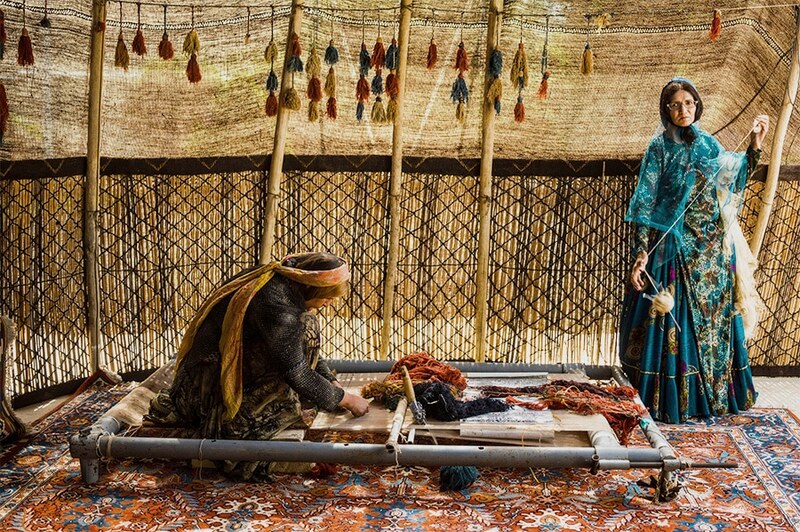 Village and / or nomadic rug weavers often traded or sold their work as a source of income. It also turns out, that nomadic and village rugs were not only produced by women in individual households. We now know that village tribal rugs were also produced in larger, organized workshops for the bigger, “outside” market orders. Also, there is nothing particularly “authentic” about non-urban or village rugs designs. 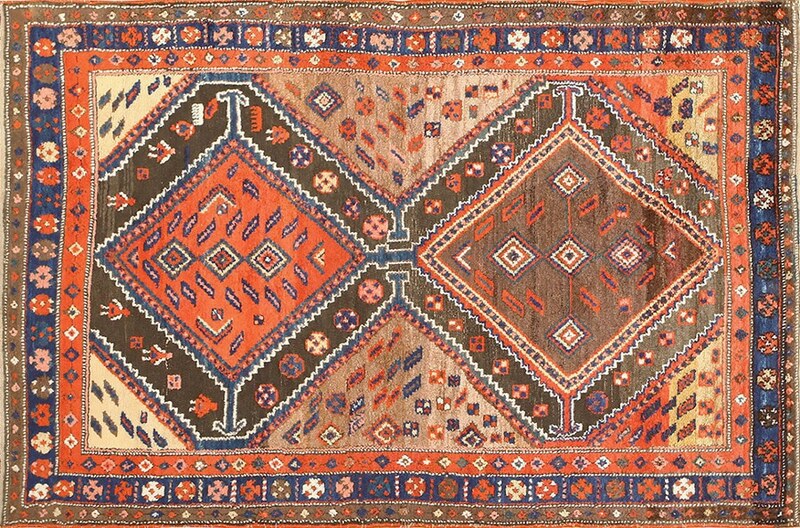 Village and nomadic rug designs often turn out to be far less ancient or traditional than experts have supposed. The Persian commercial urban city rug designs, were, in fact, continually changing ‘improving’ or ‘tweaking’ designs `according to the weavers’ creative impulses. The same holds true to the urban ‘commercial’ city rug designers. They too may have had long traditions behind them. 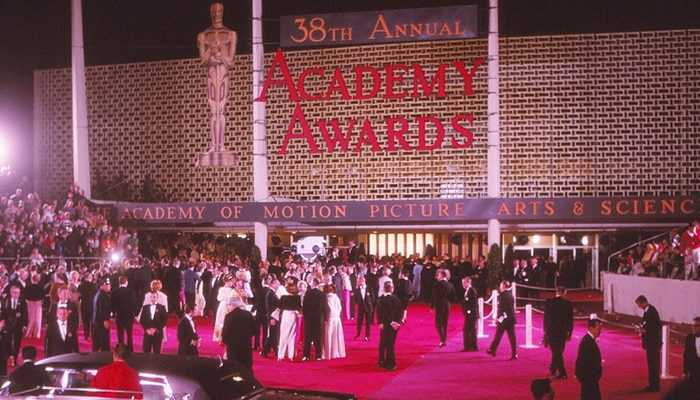 This is despite them having to respond to the ever changing tastes of the marketplace. In the end, it was the commercial basis of rug production, its need to achieve a successful market share, that guaranteed its high technical and design standards. Only the finest, most creative commercial Iranian city rugs could expect to dominate the marketplace. Like tribal and nomadic Persian rug weaving, a certain romantic charm attaches to the concept of the Persian village rugs. Since they are widely perceived as a form of folk art, village rugs too are often thought to embody notions of cultural authenticity and antiquity. Nevertheless, they still represent a complex and longstanding relationship with urban commercial rug production in all its design and technical aspects. For like Persian nomadic rugs, the village rug weaving also tend to have more abstract Persian rug designs of purely geometric form or highly geometric versions of floral and animal motifs derived ultimately from the urban rug design repertory. 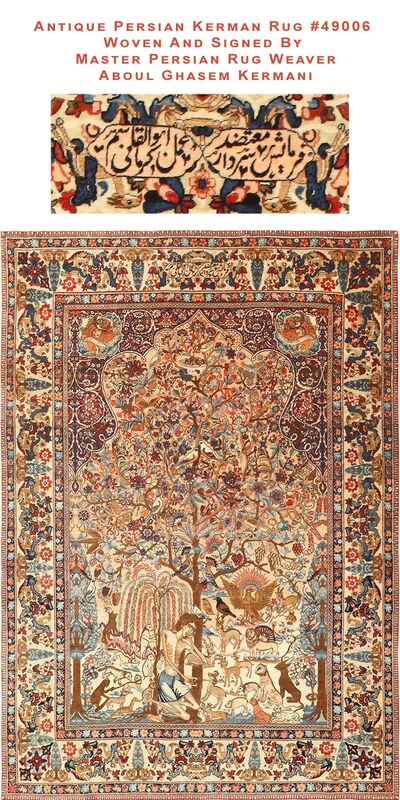 The village rugs that were woven in Persia are generally produced in smaller, scatter sizes rather than room sizes. Since their designs are bolder and more rectilinear and they tend to be woven more coarsely, with fewer knots per square inch. Although they are generally produced on upright urban style rug looms rather than horizontal looms of nomadic type, the foundation of village rugs may be of wool in the nomadic manner, or it may use cotton like urban rugs, or some combination. At times, village production may be capable of producing larger sized carpets like those of the Heriz, Serapi or Sultanabad rug family. But despite their larger scale and reliance on urban floral designs of central medallion or allover type, such carpets often retain the more abstract geometric sensibility typical of smaller village rugs. 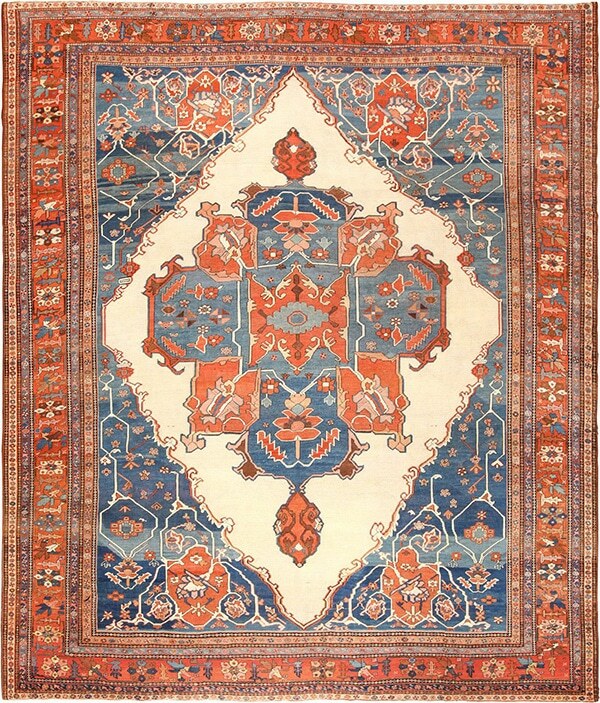 Some Persian village rug productions, however, may be a direct extension of the nearby urban workshops, preserving the very same design and technical standards.